Augmented Reality is big business right now. 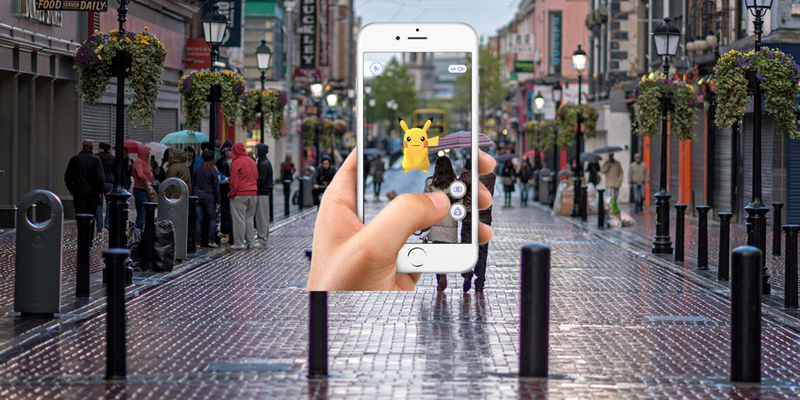 Thanks to Niantics, augmented reality has exploded into popular culture with Pokemon-Go. That app smashed records everywhere. But what about other augmented reality apps? Are there any out there that are just as cool? Or as fun? We take a look at six of the best. Superhero Workout: Augmented Reality That Tones The ‘Tush! So just how do superheroes work out between live-saving missions? Pilates? Running errand for their mother-in-law? I actually don’t know. My guess is it probably would be something like this app from developer ‘Six To Start.’ Incorporating superhero like exercises like crunches and punches, you must take control of a battleship and fight off aliens. To save the world and your pant’s elastic waist. Niantic’s first app using this technology is an immersive experience centred around two groups of people divided over the discovery of a mysterious, mind-altering force of energy. The Enlightened who want to harness it’s power; and the Resistance who want to defend humanity from it’s force. You go around this world discovering mysterious artefacts to pick up to help you on your quest. Territories are then captured and defended by you against other players. So, if you swap artefacts with Pokemon and territories with gyms and you have? This augmented reality app turns your real-life into a straight-up war-zone. Oorah! We view the game’s reality from the first-person, and the game is designed in that classic view. With over 25 guns to choose from, its ridiculous fun. You can also avail of night and thermal vision. Clever! Using the same principle as Pokemon Go, Geocaching has fixed locations around the world where their ‘caches’ are stored. Instead of Pokemon however, you find trinkets and items of value from other players in the caches. You can trade stories as well as real-world objects. Its fitness, its fun, its community building. Whats not to love? Awesome. As we found out in Superhero Workout, aliens aren’t very nice. If anything, they’re the opposite of nice. Maybe it’s all that ‘Take over planet Earth’ crap they love trying to do. Well, they’re at it again in Clandestine: Anomaly. And it’s your mission to try and stop them. The alien attack happens all around you and your environment. So, you can build structures around your home or community area to defend against the critters! Its a great use of real-world locations. You can also go on the offensive against them, which is important because who wants aliens to rule the world, really?